reconference addresses today's most challenging socio-political issues and their intersections with feminism, art and technology. A global gathering over three days, reconference is a commitment to building inclusive feminist visions of justice. Join us at reconference to present and engage! Exploring the complex and divisive issues that continue to drive the abortion debate, this track will delve into its growing intersection with disability rights. It will create a space for learning on laws, language and politics across contexts, as they are embedded within women’s lived experiences. rethink cultural and popular narratives that guide the abortion discourse globally. Challenging norms around bodies, ability and sexuality, the disability track pushes many boundaries. This track will explore the deeply contested concepts of pleasure and danger that are often imposed on individuals – to include some, exclude others and ultimately to take away individual agency. This track will explore the binaries of heteronormativity and challenge fixed identities as the foundation of LGBTI movements, exploring how sexual and gender diversity intersect with themes such as agency and autonomy, sexuality and technology and arts as activism. It will focus on links across movements, especially those challenging punitive laws, policies and practices. rethink why we are choosing the language of “sexual and gender diversity” against the limitations of the LGBTIQ and SOGIESC frameworks. reimagine ideas about sexual liberation, freedom and autonomy and place these back into the sexuality and gender discourse. 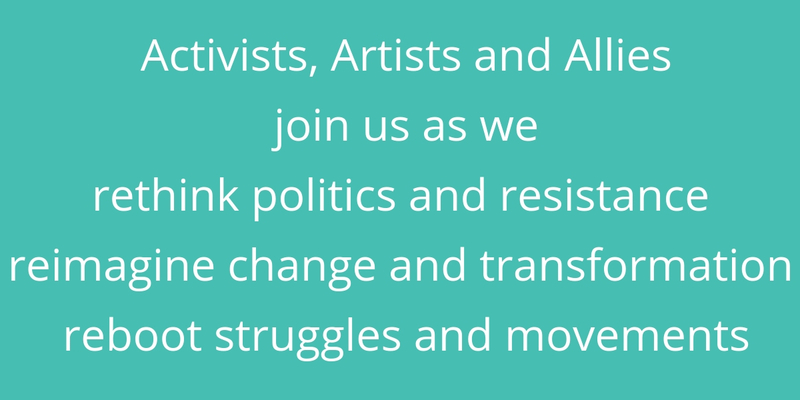 reboot the possibilities of cross-movement alliance-building and advocacy through narratives, stories and documentation. CREA builds feminist leadership, expands sexual and reproductive freedoms and advances human rights of all women, girls and trans people. Founded in 2000, CREA is a feminist human rights organization based in the Global South and led by Southern feminists that works at the grassroots, national, regional and international levels.